It's been a while since I've done a wishlist styled post,(it's actually been since January! )- you can view that post here! So with Autumn in full swing, I've put together some beauty bits that I'm currently lusting over! I've been a huge fan of the Soap & Glory Brow range, they have some really amazing products, at an affordable price point.. My current eyebrow pencil is the Soap & Glory Archery 2-in-1 Brow Filling Pencil & Brush- I use shade "Love is Blonde". So when I saw that a new product; the Volu-Boost Brow Fibre Gel had been added to the range, it's definitely been something I've wanted to test out. A product marketed to build, thicken & set your brows in an instant, this seems like a total game changer and something that I'm definitely lacking in my makeup bag. Probably because I use a clear mascara for my brows and not an actual brow gel! But I'm hoping to get my hands on this product soon in an attempt to help add colour and shape to my eyebrows, especially the sparse areas. With previously using both the Nourish Scrub and the Clear Scrub, I've really loved the L'oreal Smooth Sugars range, and the Glow Scrub is the last in the trip that I need to test out. I want to keep my skin looking as fresh and as glowy as possible. With the colder Autumn/Winter weather settling in, I'm in need of a product to tackle dull skin, and I'm hoping the Glow Scrub will just do that! I've recently purchased a new hairdryer (it's also from Lee Stafford), and I thought it's about time I need a new set of hair straighteners. I've had my current set for around 4 years now and I think they are starting to wear out now. The Lee Stafford Coco Loco Hair Straighteners look perfect! The ceramic plates in the Coco Loco irons are infused with nourishing Coconut Oil, this clever oil keeps your hair looking sleek, smooth and shiny. What more could you ask for? Recently, Revolution have introduced a new, exciting and affordable skincare line to their range, and I definitely wanted to give some of their products a go. I'm currently using the Revolution Skin Plumping & Hydrating Solution - 2% Hyaluronic Acid, and my skin is definitely loving it! The Revolution Skincare Superfruit Extract Serum is a dual purpose serum and primer that helps replenishes the skins moisture, packed with a slight iridescent shimmer for unbeatable radiance. A must have product to help prolong that Summer glow for Autumn/Winter. 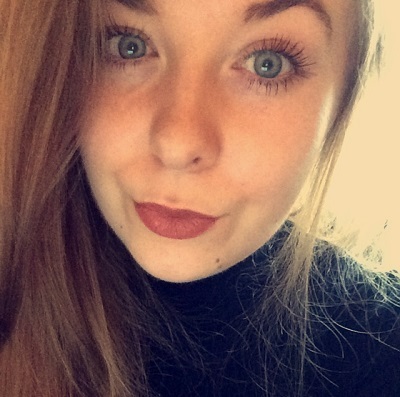 I've previously tried some of the L'oreal Dream Lengths range and absolutely fell in love with the products. The trio of products that I've used this were the perfect combination to help protect hair against breakage and split ends. Designed for those with long, damaged hair and enriched with Keratin, Vitamins and Castor Oil, the Dream Lengths Shampoo and Conditioner work like a treat for my hair. My hairs been on the dry side lately, so I'm hoping the new Dream Lengths Heat Mask will do the same as the other products in the range! New from NARS, the Climax Mascara. If you're a regular to my blog, you know I couldn't live without my mascara, a few favourites of mine being from Rimmel and Benefit. I like a mascara that really helps to separate, volumize and lengthen the lashes, helping to add boldness and definition, and making my eyes pop as the main focal point of my face. I usually like plastic, bristle mascara wands, but the NARS mascara has quick a chunky, fibre brush, that I would imagine gives you extreme volume and definition - exactly what I'm after! When it comes to haircare, I've always loved products from the Drugstore. Some of my favourite haircare brands include Aussie, OGX and L'oreal. My current favourite hair oil being the Aussie 3 Miracle Oil Reconstructor - it's great!! But after hearing and reading some rave reviews, I've always been lusting over the luxurious Ouai Hair Oil. Described as a multitasking hair oil that smoothes out frizz and seals split ends for high-gloss, super-smooth finish, this would be the perfect addition for my haircare routine for the colder winter months. 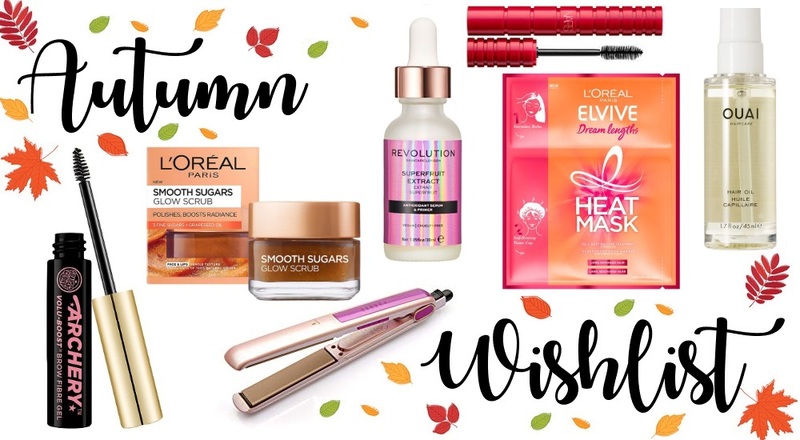 What beauty products are on your wishlist for Autumn? Have you tested and reviewed any of the products featured?